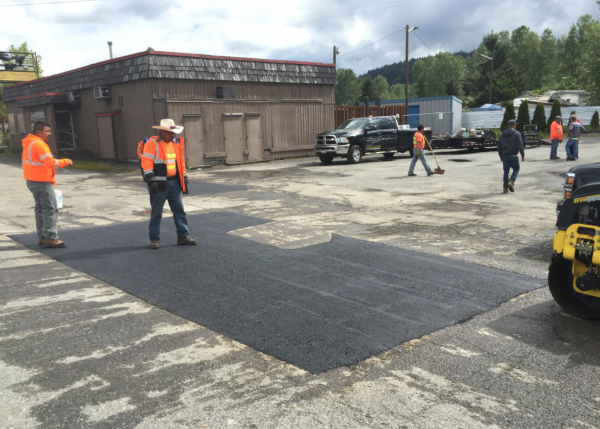 Everything Rolls Better With Roads Paving in Port Orchard WA! In 1956, Thomas Henry opened the doors and started his own paving company. Through determination and a lot of hard work, he created a stable foundation for his family's future generations to follow. Today, three sons of his work alongside Thomas daily, and it's our hope that we will be able to see many generations to come after - paving roads and driveways across Washington to keep us connected to the community. Word of mouth referrals are extremely important to us. We value the business that comes back to us through the relationships we build in the industry and our community. We strongly believe in supporting the community that we serve, and you will find us donating our time and resources to such organizations as the Seattle Firefighters, Muscular Dystrophy Association of King County, City of Kent Finger Print Kits and much more. Whether you are looking for a new driveway for your home, a private road for your residential subdivision or a paved sports court or play area for outdoor family fun, choosing the right paving contractor is essential for ensuring smooth and properly-graded paved surfaces. To help maintain your asphalt and protect it against the need for mostly driveway repairs, seal coating can help improve your paved driveway's appearance while also bolstering its level of protection from water damage, cracking or oil and gas stains. Wondering if you could do the seal coating yourself? The answer is yes, but it is a very labor-intensive project and very messy. Seal coat is very thick and sticky and can burn if it contacts your skin. It is recommended that the initial application is done by hand. Then, if practical, every application thereafter can be applied by a spray unit. We recommend seal coating your new driveway every year. When applied properly, sealing benefits the pavement in many ways. First, it renews the dark appearance of faded asphalt, making it look, feel and wear like new. It also protects the pavement from water penetration, gas and oil spills and the ultraviolet rays of the sun, all of which can rapidly deteriorate an asphalt surface and make it less appealing and shortening the life of the product. 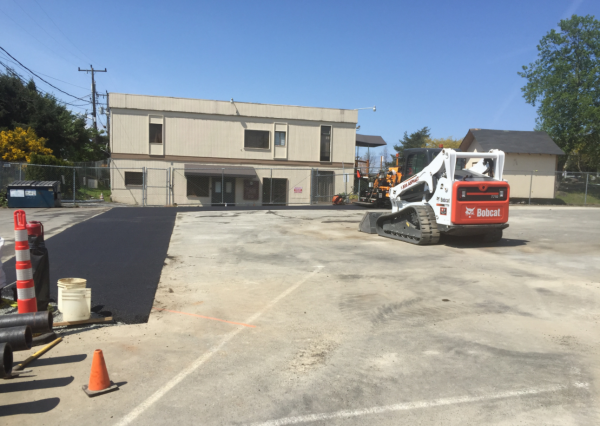 Roads Paving specializes in creating smooth driveways and well-tended parking lots serve to welcome your customers and provide a positive impression about your company. A clean, even parking lot is the perfect complement to your landscaping and exterior building work. 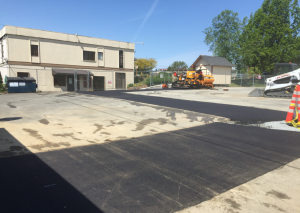 To achieve the optimal long-lasting results from your new parking lot or asphalt resurfacing project, you must pick the right paving contractor. Roads Paving has served NW Washington and the Seattle area for more than 60 years. As one of the region's top-rated road paving, resurfacing and striping specialists, we have both the required commercial paving equipment and experienced crew necessary to provide your business with a beautiful parking lot, private drive and entryway. The asphalt of your driveway or parking lot can deteriorate for a number of reasons. For example, water can seep into cracks and expand, turning small fissures into huge holes. At Roads Paving, our skilled crew can perform an entire range of asphalt repairs and maintenance, from asphalt patching and seal coating to crack filling and pothole repair. 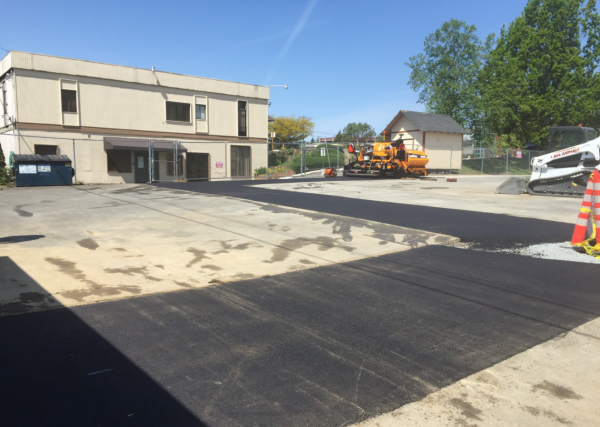 By catching small problems with your asphalt paving early and repairing them quickly, you can stop issues from progressing to the point where costly repairs or repaving is required. "Roads paving dug up the existing driveway, a broken cement walkway, plus extra sections of patch grass and repaved the entire area. Norm Came out and gave me an initial bid and also suggested some ways to make the driveway look nicer esthetically. He went above and beyond to do this, no other companies that I got bids from did anything extra. His was the best by far, and I felt very comfortable putting this project in his hands. I had some concerns about water run-off but he assured me that there would be no problems. He called me the night before and said he had an unexpected opening the next day and asked if he could do the job that day. I left for work before they came and they were done before i got home. It looks beautiful and a neighbor already ask him for some bids! Even though ended up costing him a bit more for dump fees due to some weird soil underneath, he did not increase the amount from his initial bid. I really appreciated that. He stopped by later to show and explain all he did and even offered to come back and help me with some big rocks that were underneath the old driveway. he was beyond courteous and professional. I highly recommend Roads Paving to everyone." "Roads Paving removed the old asphalt driveway, hauled debris and replaced with all new. I called Roads Paving for an estimate and the receptionist was very helpful and took my information. Norm then scheduled to stop by the next day for an estimate. He and his assistant came to take measurements and gave me a written estimate right then. we accepted the proposal that same day and Norm called me that same evening to schedule a date for the work to be completed. The crew came two days later and started the job at about 10am and completed the job by 3pm. The Roads Paving workers were professional, hard-working, skilled, paid attention to detail and cleaned up well when the job was completed." For the best Driveway Paving Company throughout Port Orchard WA, choose Roads Paving today! Schedule your FREE estimate!